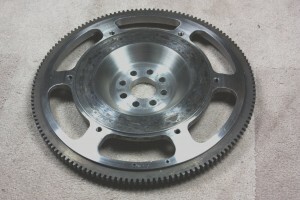 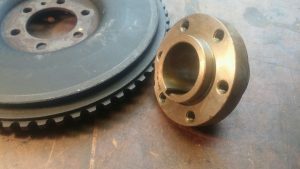 lightwheight flywheel for 7 1/4″ clutch, supplied without ring gear. 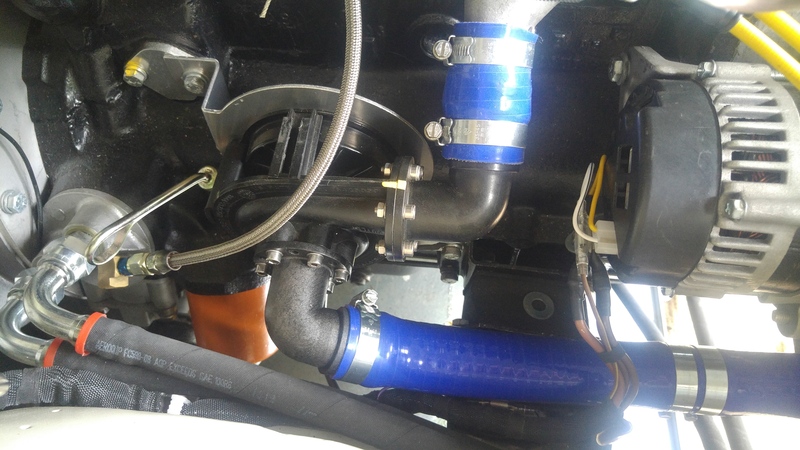 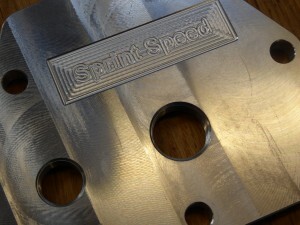 These fit under the race spec bonnets without support frame. 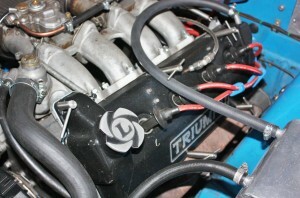 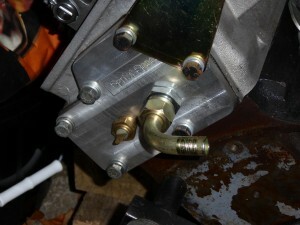 It may be possable to modify the frame work on your own bonnet to clear the front/top ‘T’ bolt. 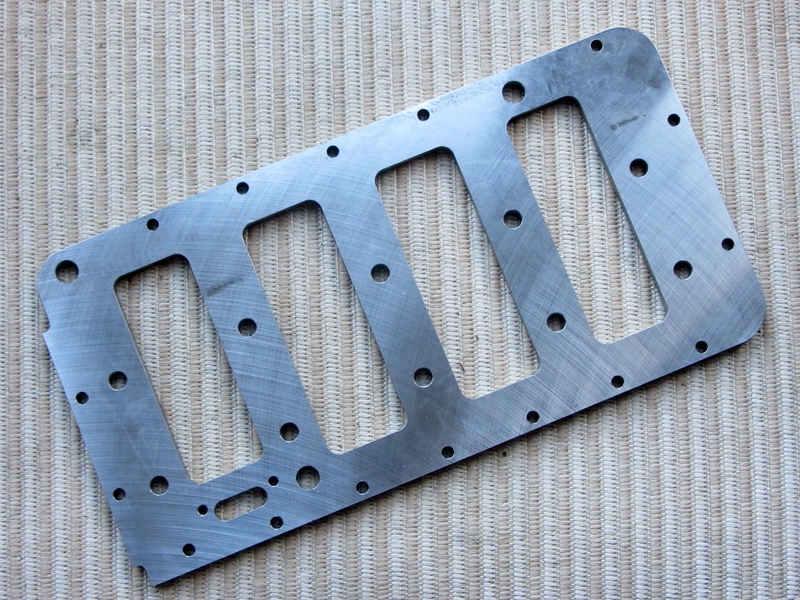 Block bracing plate, main bearing studs and tall nuts. 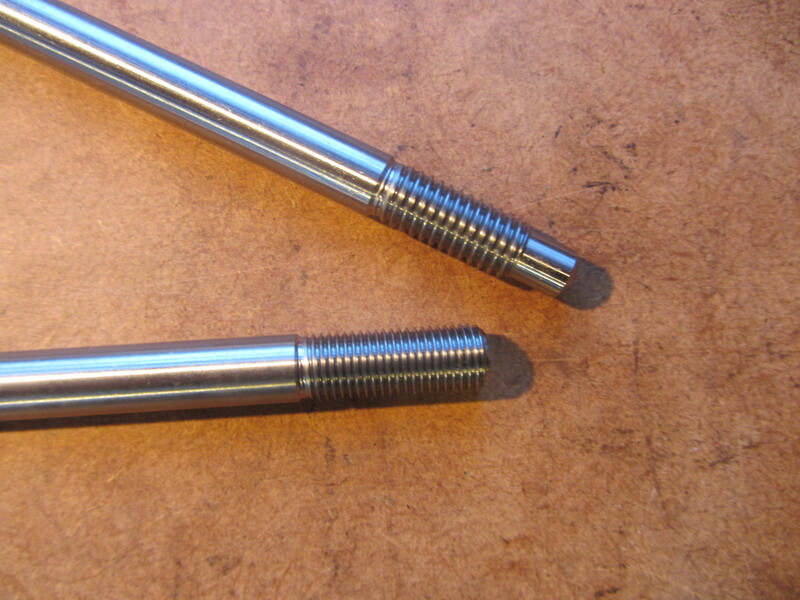 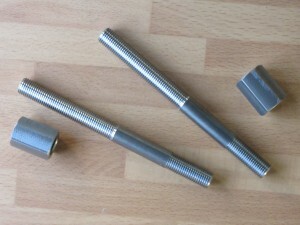 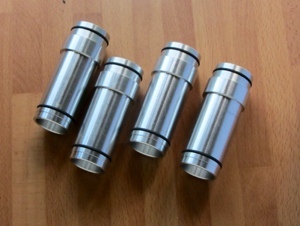 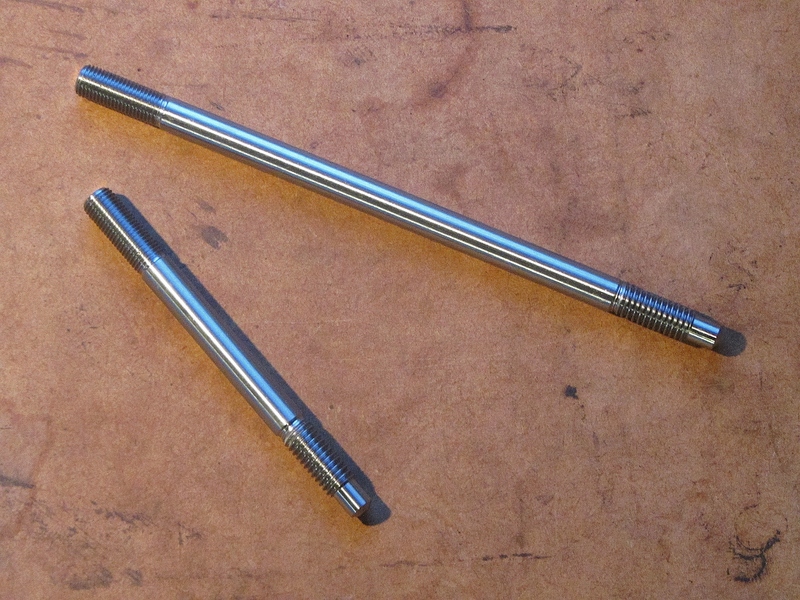 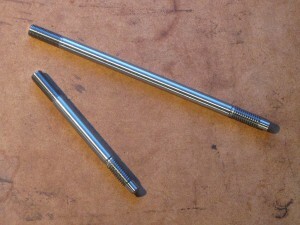 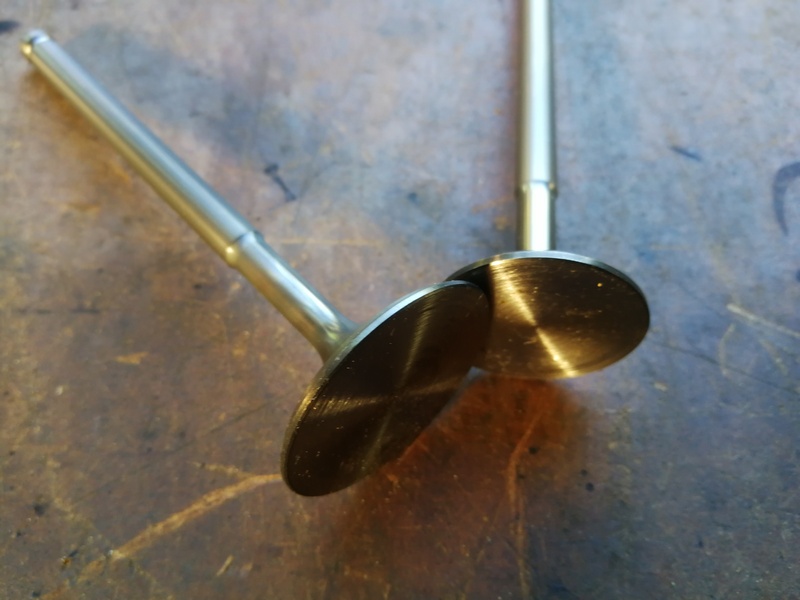 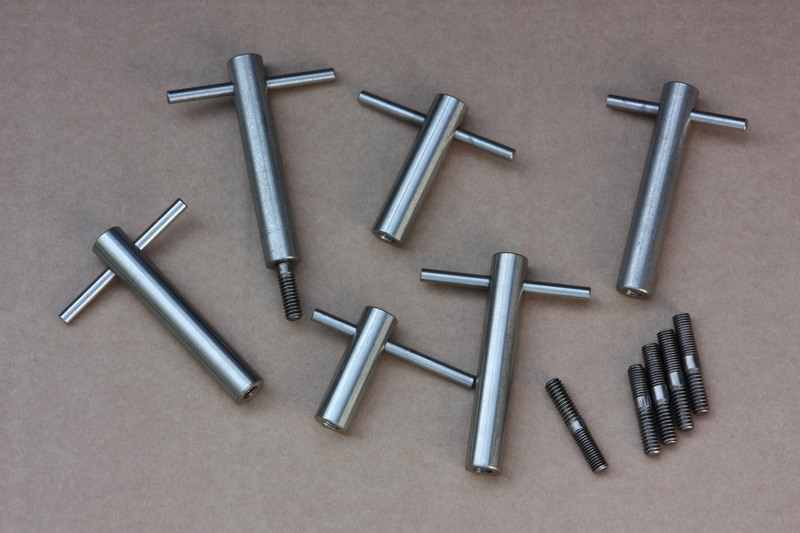 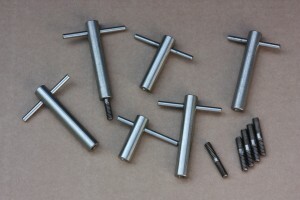 Hardened stainless steel head stud set with rolled threads. 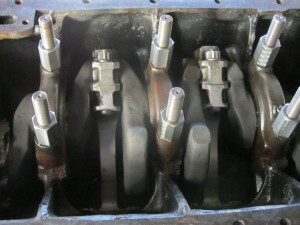 These have UNF thread for the cylinder head nut. 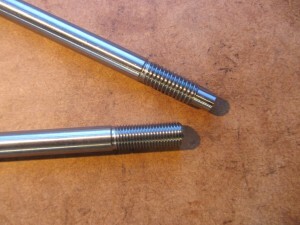 1310 MPa tensile. 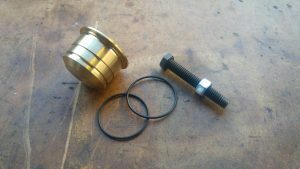 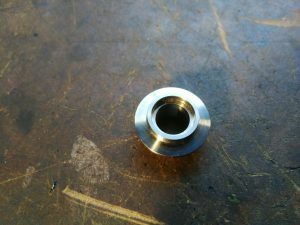 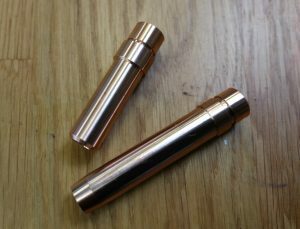 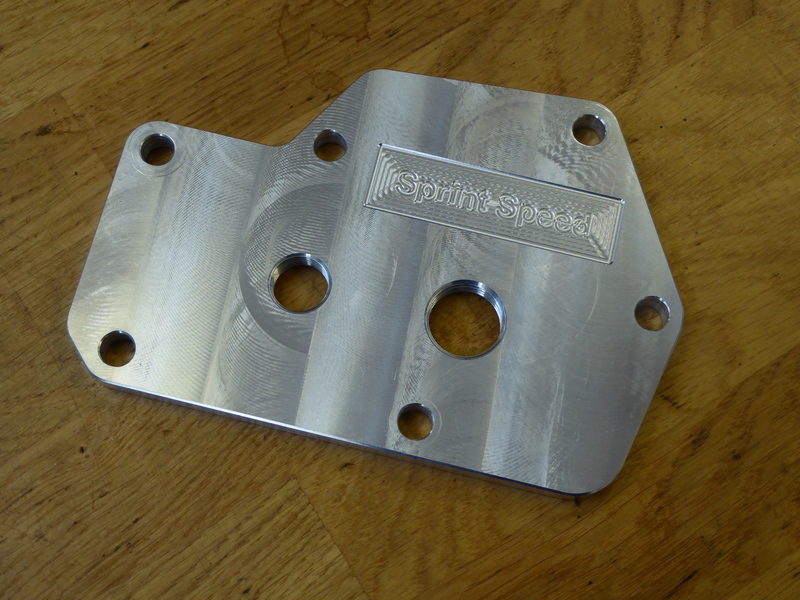 Crank front adapter for BMW dampers.